We love it when green and creativity come together, to create something truly innovative. 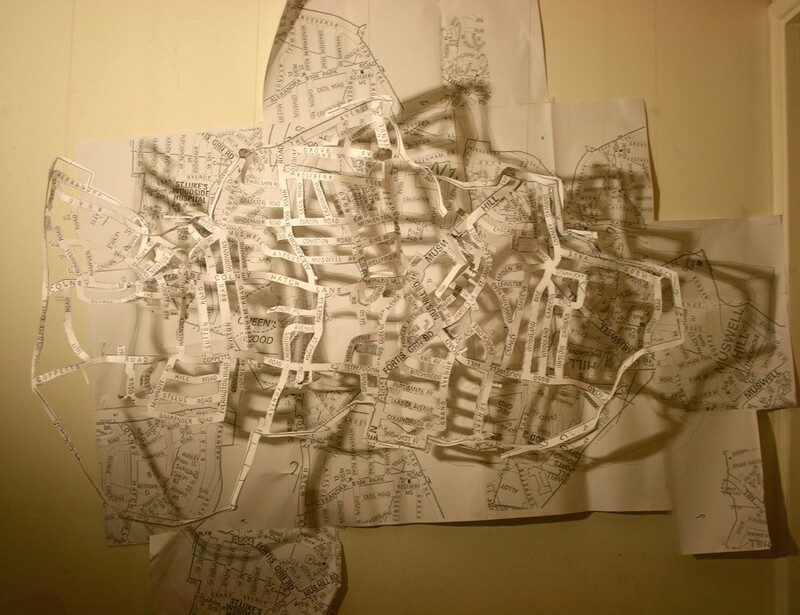 That’s why we’re delighted to be supporting North London artist, Anya Beaumont, as she works on Mapping Muswell Hill, an exciting new project that will see Anya creating a series of new works out of waste paper. Right now, Anya is calling for donations of waste paper – from a scrap piece of paper with a doodle, to a shopping list, a child’s drawing, or a note left hurriedly on the kitchen table. Any paper that would otherwise end up being recycled or, in the rubbish bin. Specifically, she is looking for contributions of waste paper from the community local to London N10, to make Mapping Muswell Hill a truly local work of art. When completed, Mapping Muswell Hill will go on display at Muswell Hill Library. Please note: Anya is not looking for old newspapers or junk mail, etc, unless they have been drawn or written on. Also, please remember not to donate any paper with personal/private information. Simply email Anya to arrange collection of your unwanted paper, or drop your waste paper into Muswell Hill Library. Meet Anya and find out more! Right now, you can meet Anya and see her work in progress by visiting either theLOCALgallery or Muswell Hill Library, where she will be undertaking residencies throughout the course of the project. Why not pop into Muswell Hill Library on Saturday 31st March, when Anya will be in residence upstairs, for the Green is Good in Muswell Hill event? And don’t forget to bring your unwanted paper…! We’ll be posting more information on Anya and her project, so check back soon. ← GPI Launches Green Future Training!